Like the majority of server systems you will install your SSL certificate on the same server or keystore where your Certificate Signing Request (CSR) was created. Your private key will always be left on and inside the server system and keystore where the CSR was originally created. Your SSL certificate will not work without original keystore file. We will assume that this is the original system. If you lose your keystore file or your password to access it. your SSL Certificate will no longer match and you will need to replace the certificate. IBM WebSphere is a very complex system. These instructions are from a best effort to make certificate installation as simple as possible. For configurations and binding refer to IBM documentation at the end of this article. Getting your Root CA will vary and you may have to consult your CA in order to get this. If you purchased your SSL certificate through Symantec, GeoTrust, Thawte, or RapidSSL click Here. It must be in its own Notepad file and saved with a .cer extension. In the Open window under Key database type drop down menu select JKS and then click Browse.. locate the keystore file you created back when you generated your CSR. 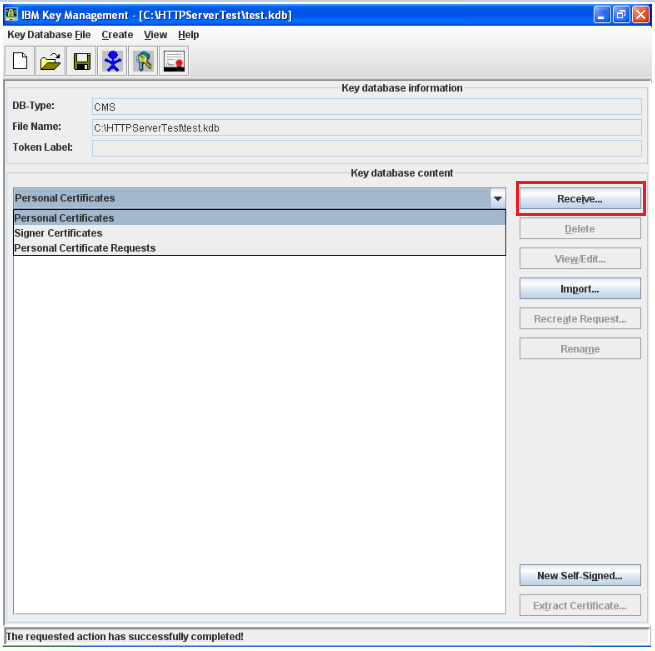 Note: Key database type is chosen based on previous CSR generation instructions. If you did not generate a JKS keystore then select the type you used during your CSR generation. 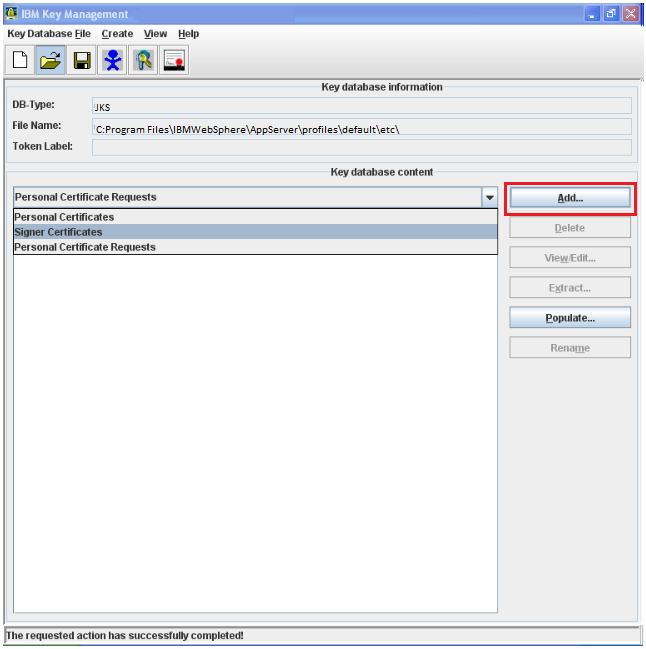 From the Key database content drop down menu select Signer Certificates, and then click Add. Browse to the location of your Root.cer file. Note: you may have to click the Files of Type drop down and select All Files to find your files. In the Enter a Label window. Specify a friendly name for this such as “root” or” “intermediate” certificate then click OK. Your Root certificate has been added. Repeat this process again for your Intermediate.cer file. Under the Key Database content drop down menu select Personal Certificates, and then click Receive. In the popup window click Browse… and specify the location and path of your .crt server certificate. Congrats you have installed your Server certificate on your IBM WebSphere.